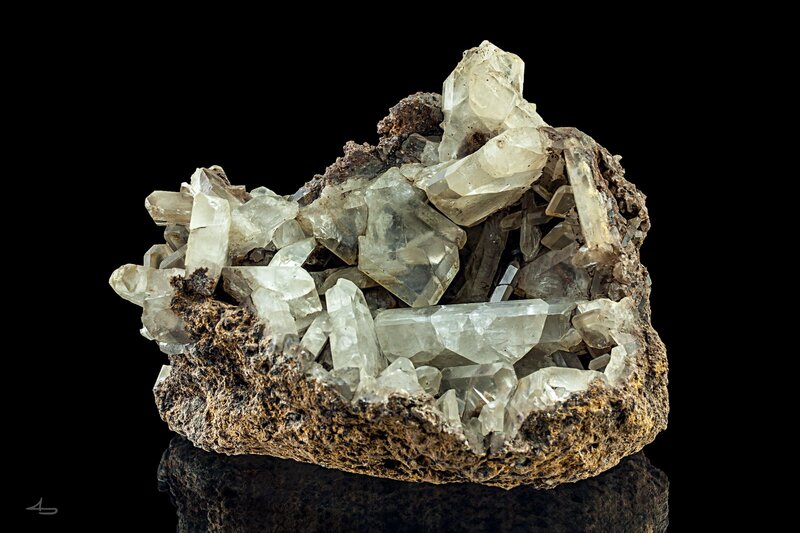 Description: Large clear tabular baryte crystals to 55 mm lining the inside of a cavity. The mine originally operated as a lead mine, as so many others in the region, but it was one of the first to switch to mining baryte instead. Specimen dates back to before the first world war.